We started the season on the Sunday after Thanksgiving this year. Thanksgiving conditions were nice and cold with some decent snow which allowed both Heavenly and Kirkwood to open enough terrain to make it worthwhile. Every year we take a trip between Christmas and New Years and usually try to get 2 or 3 new resorts done. 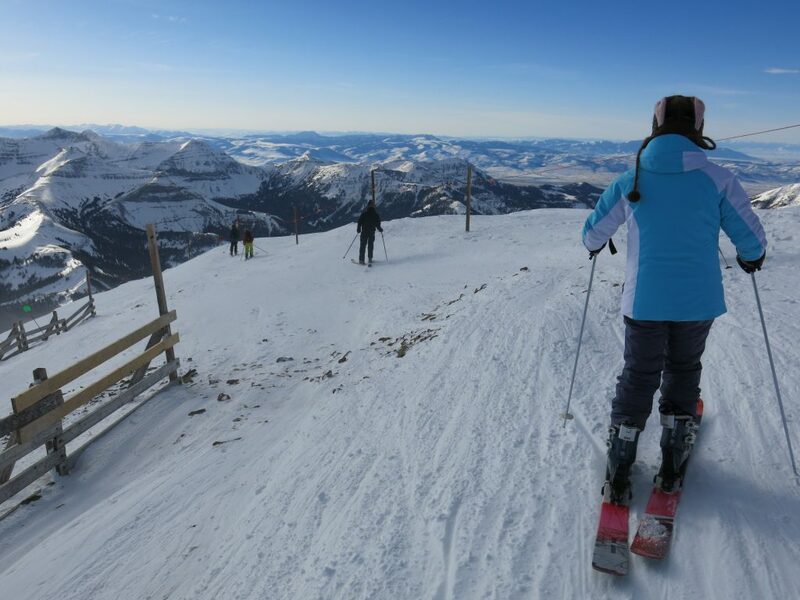 This year we headed to Bozeman, Montana to ski Red Lodge, Big Sky, and Bridger Bowl. These trips are never easy and this one was no different. Salt Lake City got what was probably the biggest storm in 2 years and our flights were seriously delayed. We landed in Bozeman on Christmas night in a pretty bad snowstorm and had to drive 150 miles to Red Lodge. There was virtually nobody on the road that night. 50 mph gusts picked up the light snow creating white-out conditions. Everything was closed so our Christmas dinner was a soggy sandwich wrap from a gas station. We arrived in Red Lodge about midnight and set the alarm for 7AM. Red Lodge Mountain was a blast and made the previous day’s journey worthwhile. 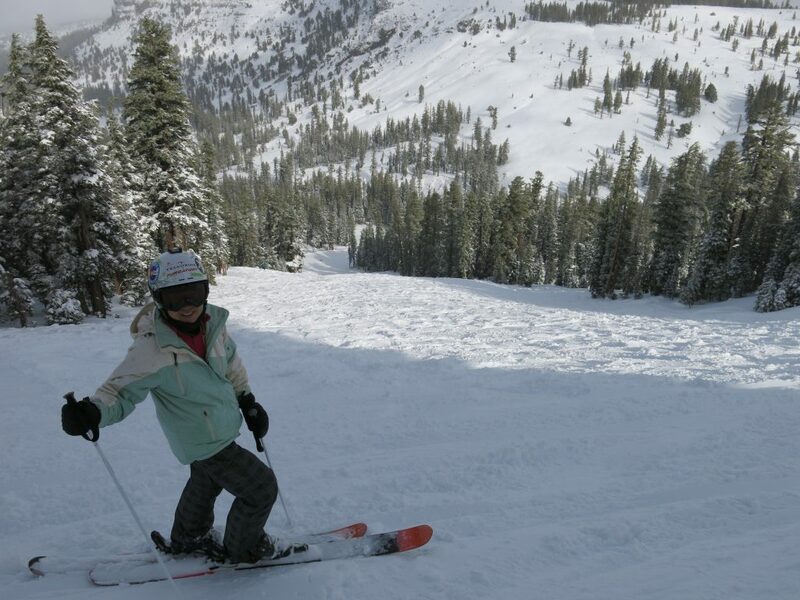 It was bluebird and our snow condition luck was holding with 5″ of new snow. The next day we drove back to Bozeman in another storm. I-90 was shut down at Livingston due to high winds. We did eventually make it and found our lodging AiRung secured on VRBO — an apartment 2 blocks from Main St. in a house that was built in 1900. 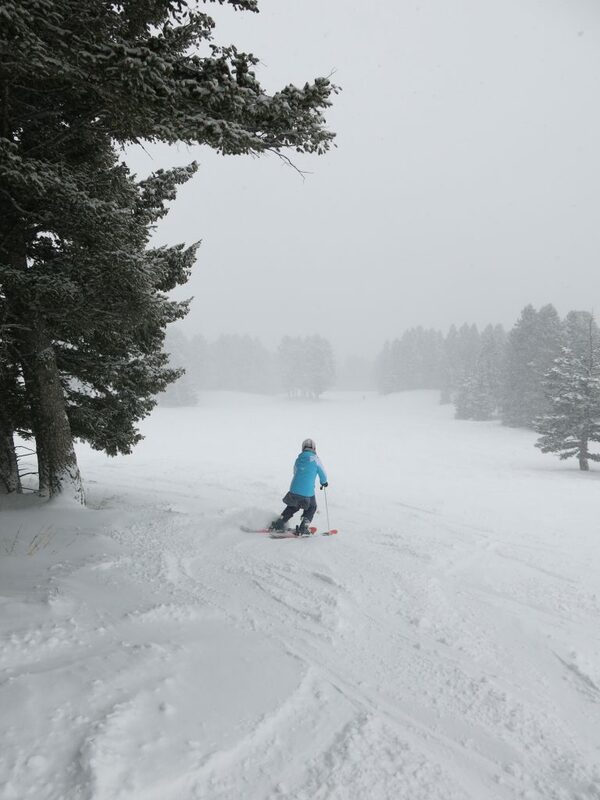 That storm dropped 14″ of snow at Big Sky, so the next day we had some very nice conditions there. 2 days of skiing at Big Sky cost us $516 (+ tax). This was the most we ever spent on lift tickets at any resort. Add to that the upcoming cost to fix our skis, which were shredded by the many rocks we encountered everywhere, but especially at the top of Lone Peak. That picture was taken in a safe relatively good spot for snow, but the next 30-minutes were some of the scariest ever for AiRung. We had to side-slip down about 300 vertical feet of unskiable rocks to get to the main part of the bowl where the snow had not been blown off by the fierce winds up there. We made it safely, and it was definitely a character-building experience. 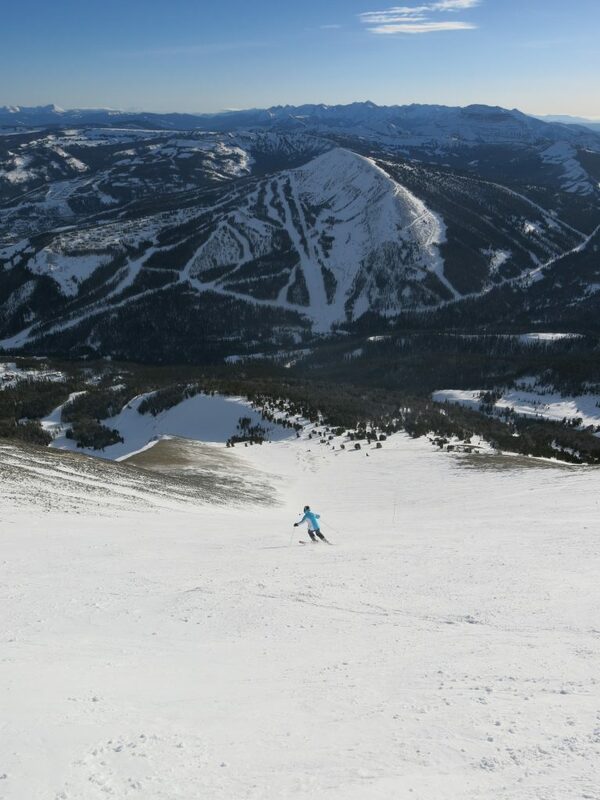 Big Sky was very crowded so it was a nice change to ski at our next new resort, Bridger Bowl. This was the day of our return flight, and right on schedule another storm rolled in. 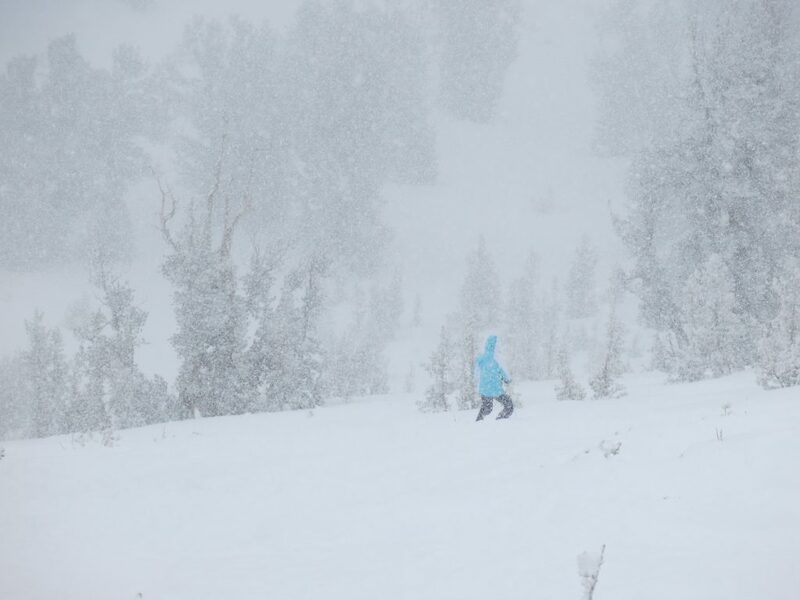 5″ of fresh snow fell during the day, and this was the best day of skiing of our trip. Bridger is one of our favorite memories of the project thus far. The flight back was delayed in Salt Lake City again due to ice fog, so we didn’t get home until 1AM California time — a very long day. So this is an example of some of the random things we run into on the project. It’s an adventure that’s usually fun but never easy! So far we have 10 days of skiing for the 2016/17 season and 3 new resorts. We plan to hit as many as 6 more new resorts this season on our 2-week February trip to British Columbia, so it’s an ambitious goal. 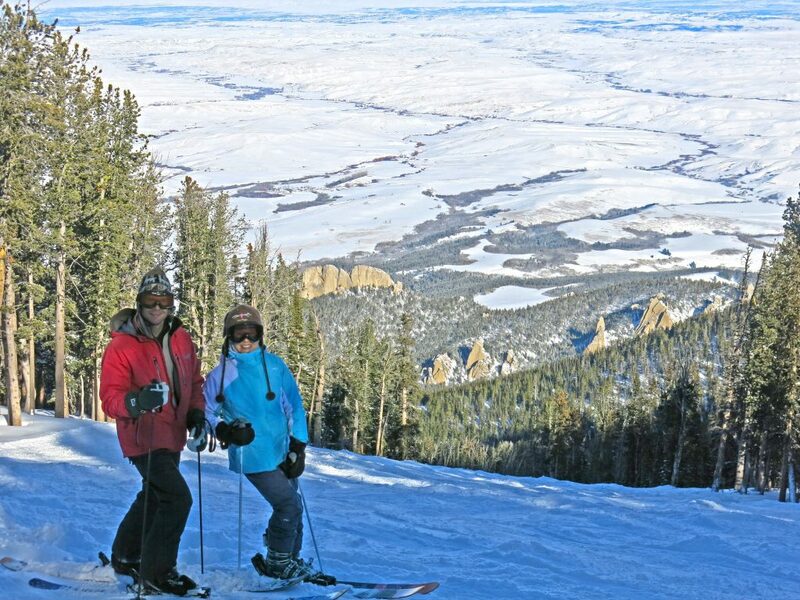 We also have another long weekend trip planned to Park City where we get free skiing on our Vail Epic passes. 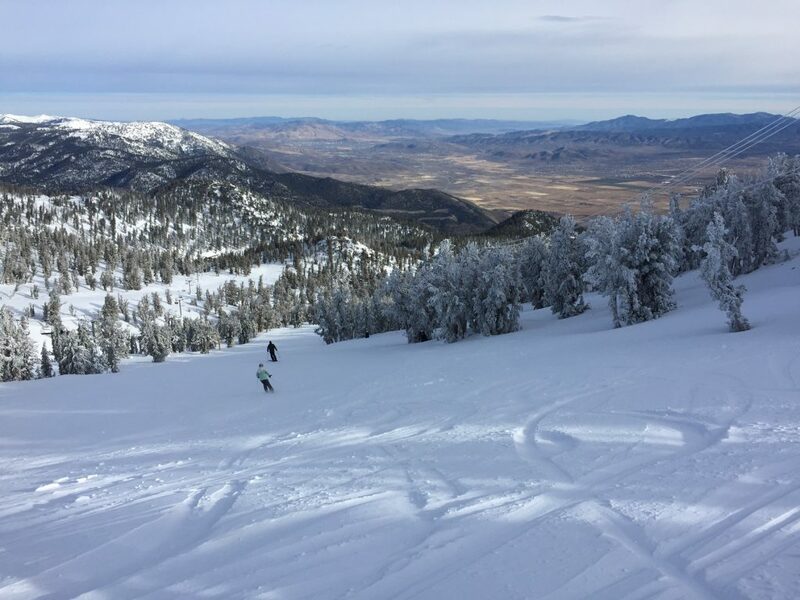 All the regions of North America have gotten good early season snow this year, which is a vast improvement over what we sometimes see in December, and it looks like the storm train is going to keep hitting Tahoe for the next couple of weeks. Should be fun! This entry was posted in Uncategorized on January 1, 2017 by Ron Thompson.